This brand new laptop battery comes with a free 1 Year Warranty. 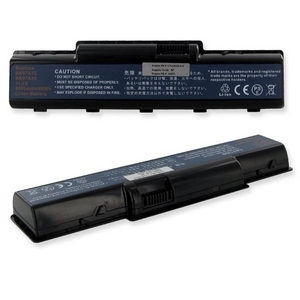 Budget Batteries guarantees that it will work with your Acer Aspire 5532 laptop, will perform as well or better than the original counterpart, and will be free of defects. Budget Batteries has the widest selection of laptop batteries, from hard-to-find replacements for older Acer Laptops to the newest Acer laptop models. To get the most life out of any Li-Ion battery, do not leave the battery charging overnight; unplug the battery once it reaches a full charge. Overcharging a laptop battery will eventually reduce its capacity and overall life span. Shipping Info: This item will ship within 24-48 hours, and a tracking number will be emailed to you once it ships.